Is there a better alternative to Bub & Bob X? Is Bub & Bob X really the best app in Arcade category? Will Bub & Bob X work good on macOS 10.13.4? Bub & Bob X is a clone of the classic arcade game Bubble Bobble. You control a cute bubble blowing dragon. 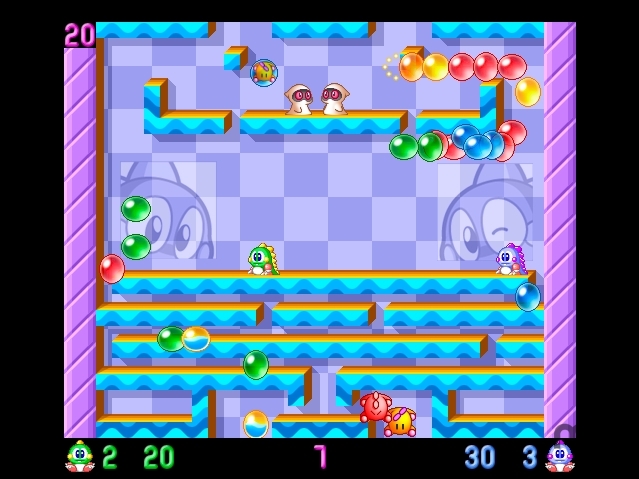 In each level, you must use bubbles to defeat the enemies and earn points, bonuses or special abilities. You can play solo or with a friend, submit your best score to the Top 100 online and create levels. Bub & Bob X is shareware — you can play the first 8 levels only. If you wish to play all the levels and enable all the features, you must purchase a registration code.